Any claims of copyright infringement should be addressed to the Editor at editor@ijedr.org bearing the subject line "Copyright Infringement". 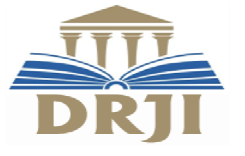 The International journal of Engineering development and research (IJEDR) is published Quarterly (4 issues annually). 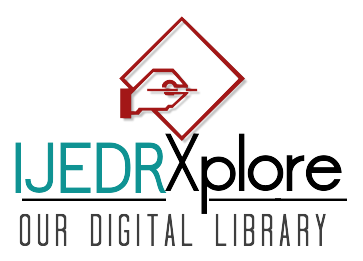 Work includes the material submitted for publication and any other related material submitted to IJEDR. In the event that IJEDR does not publish said work, the author(s) will/will not be so notified and all rights assigned hereunder will revert to the author(s). The assignment of rights to IJEDR includes but is not expressly limited to rights to edit, publish, reproduce, distribute copies, include in indexes or search databases in print, electronic, or other media, whether or not in use at the time of execution of this agreement, and claim copyright in said work throughout the world for the full duration of the copyright and any renewals or extensions thereof. All accepted works become the property of IJEDR and may not be published elsewhere without prior written permission from IJEDR. The author(s) hereby represents and warrants that they are sole author(s) of the work, that all authors have participated in and agree with the content and conclusions of the work, that the work is original, and does not infringe upon any copyright, propriety, or personal right of any third party, and that no part of it nor any work based on substantially similar data has been submitted to another publication. However, reproduction, posting, transmission or other distribution or use of the article or any material contained therein, in any medium as permitted hereunder, requires a citation to the Journal and appropriate credit to IJEDR as publisher, suitable in form and content as follows: Title of article, author(s), journal title and volume/issue, Copyright© year. Corresponding author/s also warrant that “IJEDR and the Journal Editors” will not be held liable against all copyright claims of any third party or in lawsuits that may be filed in the future, and that Corresponding author/s will be the only person who will be liable in such cases. Corresponding author/s also warrant that the article contains no libelous or unlawful statements, Corresponding author/s did not use any unlawful method or material during the research, I/we obtained all legal permissions pertaining to the research, and Corresponding author/s adhered to ethical principles during the research.